The Iowa school district at the center of the fatal Dec. 12 school bus fire that claimed the lives of the driver and a 16-year-old student said it was simply following directions from the state when it updated the vehicle’s maintenance repair records weeks later to indicate out-of-service deficiencies were fixed. Timothy Mitchell, superintendent of Riverside Community School District, told STN that the online report from the Dec. 6 inspection was not made available to the district for marking the repairs as complete until Dec. 15. That was three days after the deaths of school bus driver Donnie Hendricks and student Megan Klindt. The National Transportation Safety Board removed an investigative hold on the inspection records and allowed the Iowa Department of Education to release the data this week in response to repeated requests from the Des Moines Register. The records for bus No. 4 subsequently obtained by STN revealed that nonfunctional red warning lights and an inoperable rear exit vandal lock warning signal were noted during the Dec. 6 inspection. 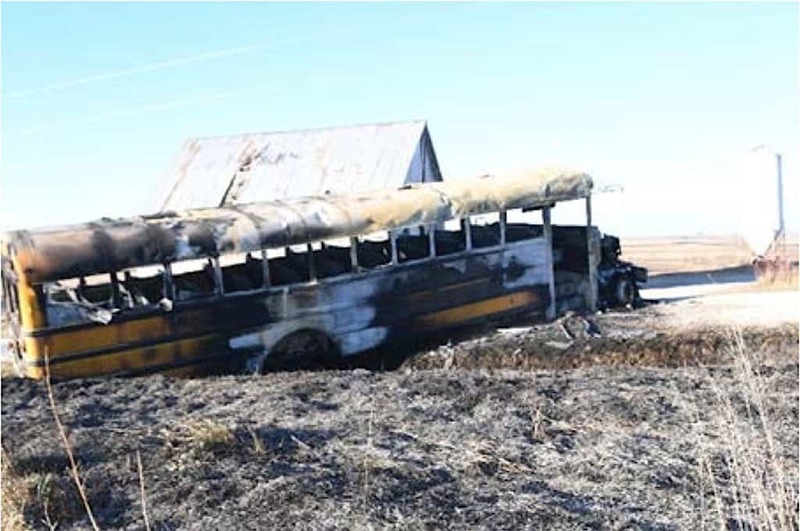 The report indicated that both out-of-service deficiencies have been fixed, but Iowa Department of Education investigators assisting the NTSB noted that those updates to the online system were made after the fire. The report also included seven other deficiencies such as an exhaust tailpipe clamp, an inoperable emergency exit warning signal and an expired chassis card that were required to be fixed within 30 days. As of Jan. 24, the Iowa state bus inspections data indicated those repairs remained outstanding. Mitchell, however, told STN that all maintenance issues on that bus were fixed. On-scene investigators noted the day of the fire that the exit vandal lock had been removed, which Department of Education spokeswoman Staci Hupp told STN is an allowed district response when that specific piece of equipment is not working. Vandal locks are not required in the state school bus specifications, she noted, but the equipment must be in working order if it remains on the vehicle. Sometime between Dec. 19 and 29, she added, someone from the school district accessed the state’s online inspection portal and marked both out-of-service deficiencies as fixed. Mitchell reiterated that the district was simply following instructions. He added that the district rejects any characterization made in the local media or elsewhere that staff altered inspection or maintenance records. NTSB released its preliminary report into the fire last month but investigators still don’t know the exact cause of the engine fire or why Hendricks and Klindt were unable to evacuate the vehicle. The coroner’s autopsy report indicated both Hendricks and Klindt died from smoke inhalation and burns. A final NTSB investigative report is not expected for at least a year. Meanwhile, an NTSB spokesman said investigators continue to look at the bus maintenance records. “If there is anything that pertains to the cause or contributing to the cause of the accident, NTSB will note that in its final report,” he said.